The heart and soul of India- New Delhi is a city with magnetic attraction, especially when we talk about worship places. There are many places in Delhi that has become famous for being a spiritual wonder. 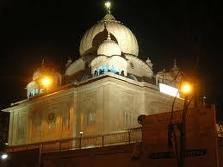 Gurdwara Majnu-ka-Tilla is one of them and situated on the right bank of river Yamuna, opposite Timarpur to Colony beyond Khyber Pass. Majnu ka tilla is a place in Delhi that is visited by many tourists throughout the year. The place has no connection with the traditional folk celebrating the love of Laila Majnu. Every year on Baisakhi Day, the birthday of the Khalsa is celebrated by the Sikhs of Delhi with great enthusiasm. A langar is arranged on the occasion when thousands of people join irrespective of caste, creed and status. There is an interesting story behind the construction of the Gurudwara. As there was a fakir lived on the banks of river Yamuna during the reign of Sultan Sikander Lodhi. He used to carry people across the river in his boat free of charge. He used to spend most of his time in prayers and meditation and yearned for the glimpse of the God. He was so much lost in his own thoughts often fasted. As a result of which he became thin and people started calling him Majnu after the Persian lover whose name became symbolic of intense love in mysticism in the Sufi literature. 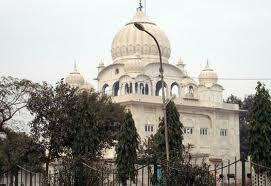 The marble gurudwara was constructed by Maharaja Ranjit Singh, parts of which can be seen even today. He also endowed it with a Jagir, the income from which was used for the maintenance of the gurudwara. The present building constructed in 1950. Location: Gurdwara Majnu Ka Tila is located opposite Timarpur and beyond Khyber Pass, on the Grand Trunk Road (National Highway-1). Time to Visit: Open on all days from 2.30 pm - 7.30 pm. How to Reach: Tourists can either take local buses from various points within the city to reach this monument, which is located in North Delhi, or they can hire auto-rickshaws and taxis or take the metro rail. Every year all the festivals of the Sikhs especially Baisakhi is celebrated with great enthusiasm here. A langar is arranged during the festivals when thousands of people join irrespective of caste, creed and status.